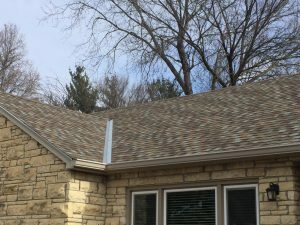 If you believe you have roof damage, roof shingle damage, roof vents damage, Siding Damage hail or wind damage and need to file an insurance claim, please contact Us Associated Siding and Remodeling your Local Omaha Roofing contractor (402) 896-8012 for a free roof damage inspection. If your roof has storm damage, you should call your insurance agent to start a roofing damage claim . An insurance adjuster will then visit your home and inspect your roof. Associated is experienced with meeting with insurance adjusters, We are highly qualified to meet with your adjuster to Work out the details of your home’s Damage inspection, roof inspection, barn roof, out buildings Etc. 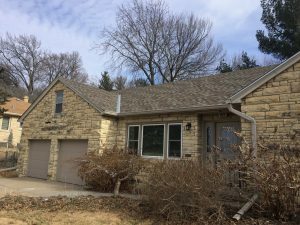 The Insurance adjusters will look for signs of roof damage, roof vent damage, roof seems damage, hail damage or wind damage, such as holes in the roof, missing shingles, split and cracked shingles, broken roofing shingles. If you have asphalt shingles, look for dents or bruises. Loose granules often precede more serious problems You will notice the granules coming out of your gutters, including roof deterioration, leaking, water damage or flooding, mold and structural issues.